For those who need help filing a personal bankruptcy in Scarborough or perhaps are looking for expert debt counseling services, our firm is always ready to assist. People almost always resort to personal bankruptcy when they believe they’ve exhausted all other options for debt relief. 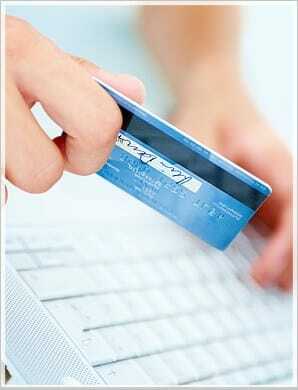 Often, a bankruptcy is considered after an individual is turned down for a consolidation loan. At Richard Killen & Associates, a Scarborough trustee on personal bankruptcy, we are able to give you sound advice so you can select the most suitable solution to your debt concerns. A personal bankruptcy enables you to establish a brand new financial beginning. By doing this, all the irritating telephone calls as well as the intimidating letters and emails you receive will stop. People would often steer clear of personal bankruptcy due to its negative connotation, however it is a viable option for many. In the long run however, it is best for you to get a fresh start. This is also a great opportunity to start repairing your credit rather than carrying on and struggling month after month with no light at the end of the tunnel. Many clients choose to rent or buy their home in Scarborough because it is a great location to live in. Nonetheless, it is a popular area as a part of the Greater Toronto area, can be a very expensive place to live. If you start to experience debt problems and are having difficulties meeting your financial obligations, it’s highly recommended that you start talking to firms or professionals who can provide debt relief solutions. There is no shortage of debt consulting companies and companies that are looking to loan you money. However only a Licensed Insolvency Trustee can provide you with an extensive assessment of your fiscal condition as well as clarify the positive and negative legal points of every solution available to your unique situation. A phone call to our office will be the best call you can make to reduce your stress level. We have assisted thousands of good people just like you and realize the financial and emotional stress you might be exposed to during this time. This is why we know that following the phone call, your tension level will dramatically decrease. We can clarify the different options and choices that are available to you. These might consist of debt counseling, consumer proposals, creditor negotiation and bankruptcy. Our company’s office is at Markham Road and Ellesmere Avenue just one building west of the intersection. We also have parking. Stop the sleepless nights. Call our office today to get a fresh start on your finances. For debt counseling and information on declaring personal bankruptcy in Scarborough, we encourage you to call our office at (416) 644-1212 to obtain the debt relief you have been searching for!